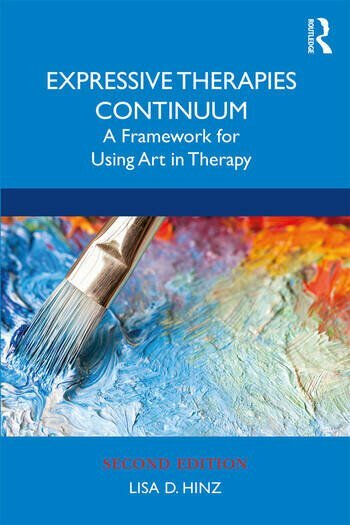 Distinctive in its application as a foundational theory in the field of art therapy, this up-to-date second edition demonstrates how the Expressive Therapies Continuum provides a framework for the organization of assessment information, the formulation of treatment goals, and the planning of art therapy interventions. In addition to the newest research supporting the uses of art in therapy, this volume offers the latest research in Media Properties and Material Interaction, the role of neuroscience in art therapy, emotion regulation, and assessment with the Expressive Therapies Continuum. It provides case studies to enliven the information and offers practical suggestions for using art in many and varied therapeutic ways. Through rich clinical detail and numerous case examples, this book’s easy-to-use format and effectiveness in teaching history and application make it an essential reference for practitioners and students alike. Lisa D. Hinz, PhD, ATR-BC is an adjunct professor of art therapy at Notre Dame de Namur University, consultant to the Residential Lifestyle Medicine program at Adventist Health Napa Valley Hospital, and in private practice. She is the author of three books on art therapy. "Dr. Hinz combines her many years of experience in using in clinical practice and teaching the concept of the Expressive Therapies Continuum (ETC) with a thorough scholarship in updating and enlarging the second edition of this book. In addition to the elaborating on the use of ETC in art therapy, it offers welcome new information, including transference, countertransference, and embodiment in the context of the ETC, and neuroscientific studies of using different art media." "It’s been 10 years since Dr. Lisa Hinz first provided her essential and accessible text on this model on which our field is built; through this extensive update, with its additional historical contexts, applications and research, vital examination of its place amidst the therapeutic relationship, and its capacity to bridge creativity to neuroscience, Dr. Hinz offers us—once again-- a rich and enlightening read."